Well, other than the soup, Road Town, the capital, was a very interesting port. This was my fourth visit, but I still find the island enchanting. Tortola is spread across miles of gleaming azure waters, and is the largest island of the archipelago we call the British Virgin Islands. Sailors and pirates have been skirting its shores for centuries, including my two favorite rascals, Captain Kidd and Blackbeard. Sugar cane used to be the main cash crop, but after they ran off the pirates and the locals started to going to San Juan Community College, tourism took over. 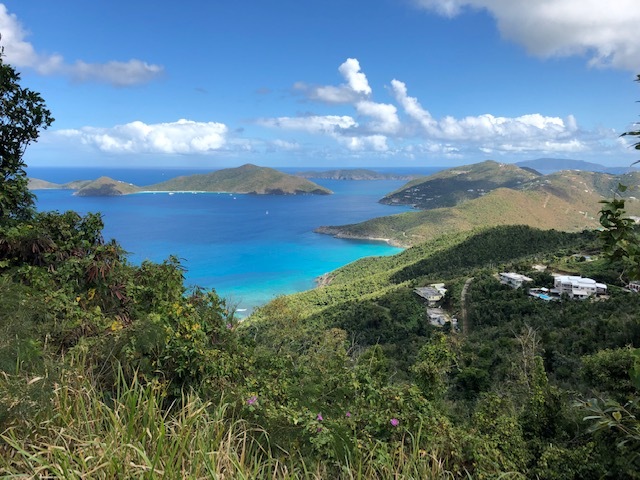 Living on Tortola can be a wonderful experience, but you will have to put up with a major hurricane every now and then. By the way, in the event of a tornado or hurricane, always do what I do. I always put a pack of hot dogs in my pants pocket. (Which, of course, is where you’re supposed to keep your wiener.) Why do I do this? Because the search dogs will find you first. Think about it. Anyway, after a scenic drive along Ridge Road, we came to one of my favorite beaches on the island… Cane Garden Bay. Unfortunately, the last hurricane caused some serious damage, and the beach, while still inviting, was virtually destroyed by the tremendous wave action that hit the island. 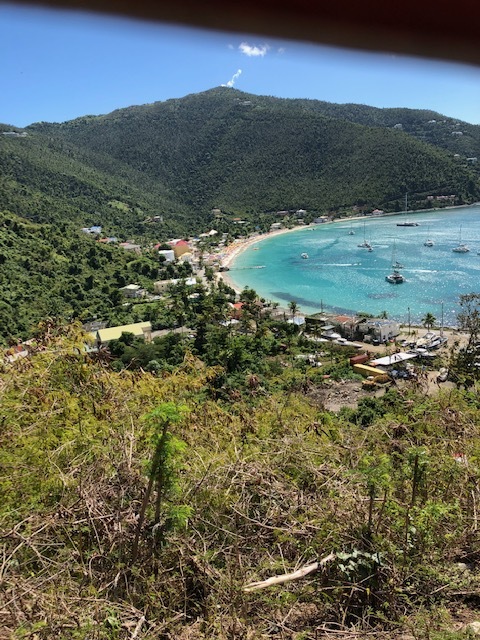 If you go to Tortola, keep in mind that you can take two wonderful excursions… to Virgin Gorda and the Baths, and to Jost Van Dyke. I’ve been to both, and they are definitely worth the time and effort it takes to get there. The hardest thing about “everything happens for a reason” is figuring out the reason! If a woman starts a sentence with, “I find it funny how,” you can bet your life she doesn’t find it funny! Wasn’t that soup called “hoppalini”?